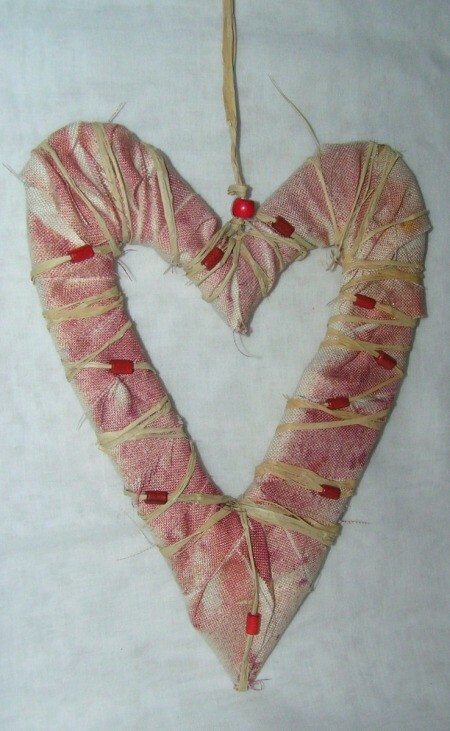 If you want to decorate your home to celebrate Valentine's Day, why not have a go at making this rustic-style heart. It's so simple to do, costs next to nothing to create, and what's more you can use it again for next year's festivities, as well. 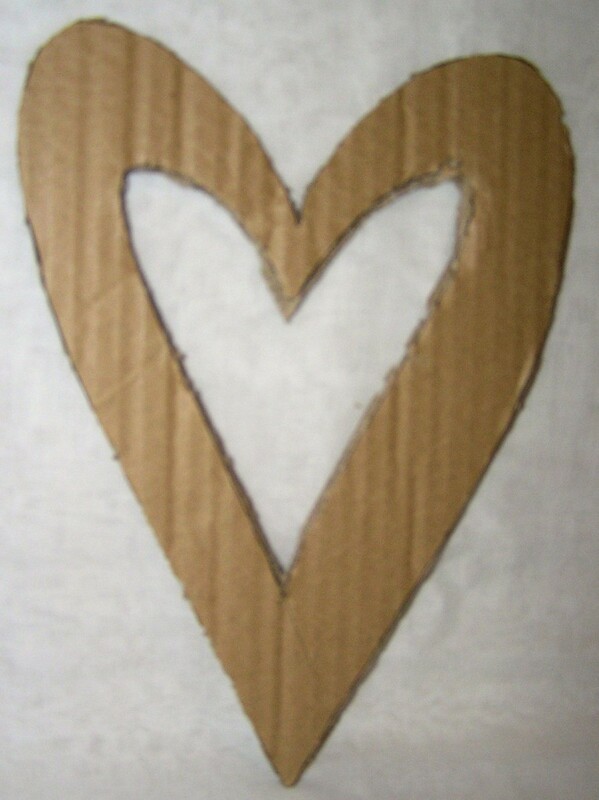 Draw a heart shape on a piece of cardboard. Cut out the heart using scissors, as shown. Cut or tear a few strips of fabric. 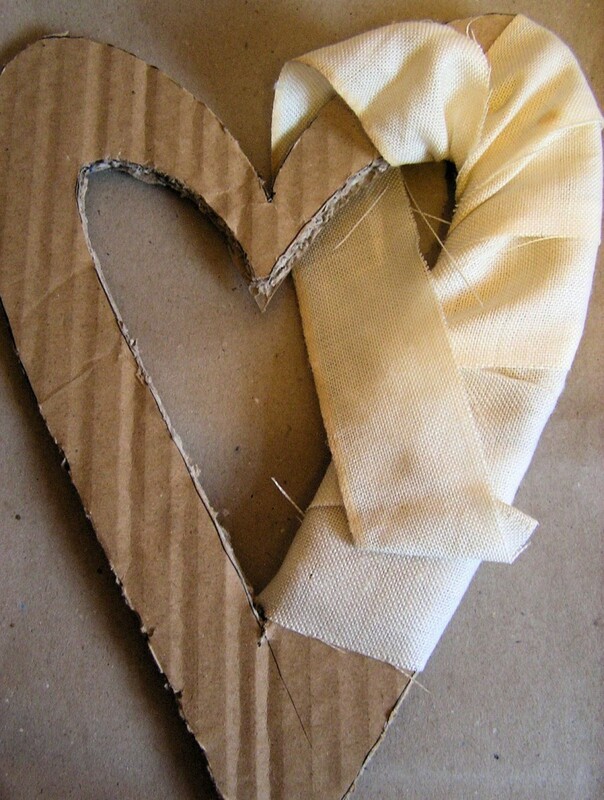 Wrap the strips around the heart and secure on the wrong side using glue. 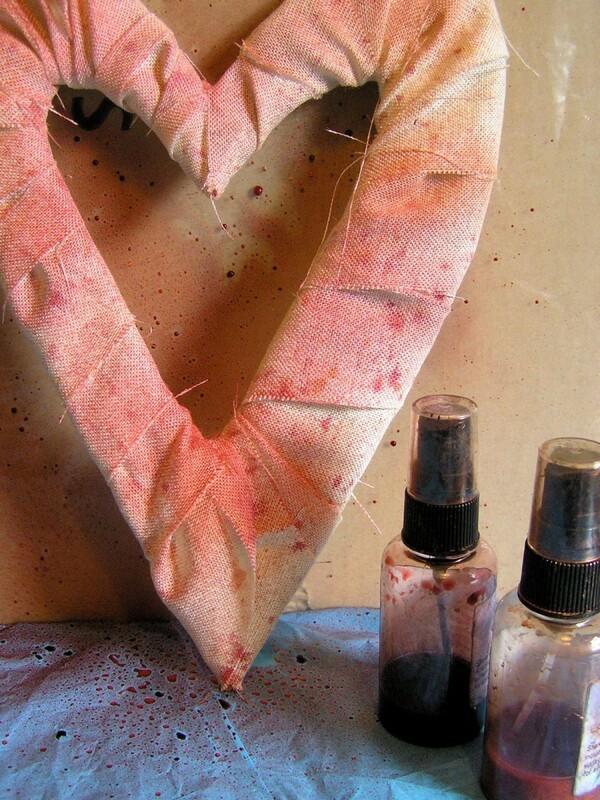 When your heart is completely covered with fabric, spray it with inks and let dry. Thread several beads onto a length of raffia and wrap around your heart, securing any loose ends at the back with glue. To finish, make a hanger using a length of raffia. As an alternative to inks, thin some poster paints with water and splatter your hearts with this watery medium using a paintbrush. Make lots of rustic style hearts and hang them in a porch or conservatory.